What to do for dinner when all you have is left over salad from lunch, a handful of lonely vegetables and a tin of kidney beans? 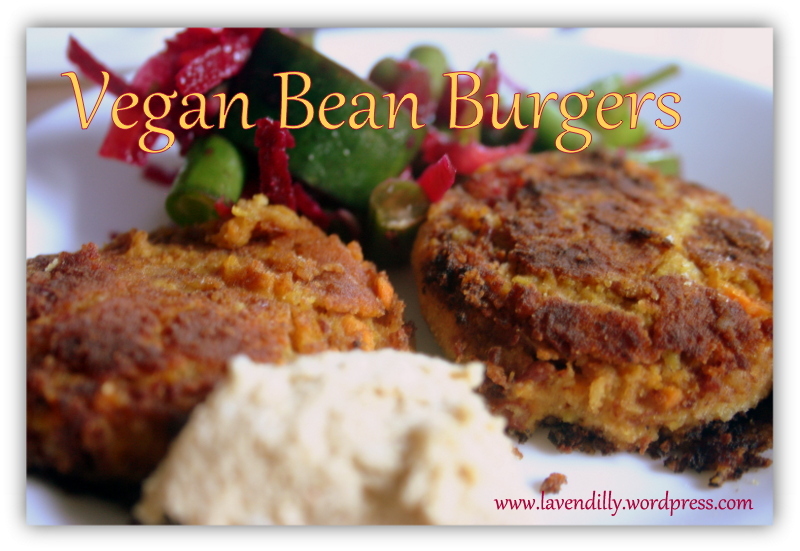 Bean salad or bean burgers is about your only option! As it happens it was just the right dinner for a hot summer evening, easy to make, quick to eat and very tasty. With a glass of home-made lemonade with mint and blueberries, and followed by a night swim in the pool = perfect. 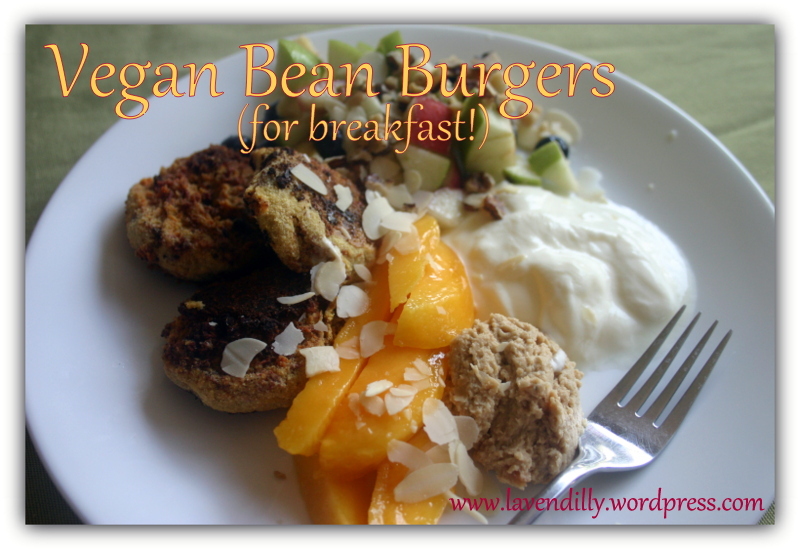 Bean burgers served cold with slices of mango, yogurt, hommus, fruit salad and toasted nuts makes an amazing breakfast too. Sounds crazy to put a curried burger and hommus with fruit salad but it works a treat. Finely chop onion, garlic and celery. Soften in coconut oil. Grate carrot and add to mix with the curry powder. Stir until the carrot is soft. Add mixture to a food processor with drained kidney beans, seasoning and a little coconut flour (about 1 tbs). Blend until the mixture is smooth. Add a little more coconut flour if the mixture is too soft. With wet hands, roll into burgers and put in the fridge for half an hour to firm up, then shallow fry in a little more coconut oil. The burgers are very soft and difficult to cook at room temperature (at east when room temperature is over 30 degrees!) so keep them in the fridge until just before you are ready to cook them. Serve hot or cold with hommus, yogurt, fresh salad topped with toasted nuts … and eat any leftovers for breakfast or lunch the next day. Better still, make a double batch and freeze some for later. ← Recipe: Home Made Lemonade with Mint and Blueberries.